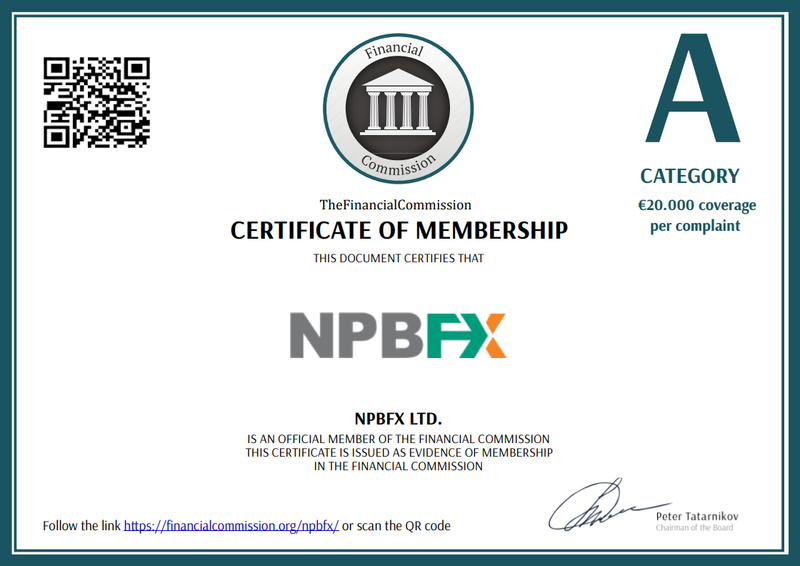 NPBFX Company is a member of The Financial Commission. The Financial Commission is an independent international organization whose purpose is to settle disputes between broker and trader on FOREX. The Financial Commission ensures rapid, objective and professional resolution of disputes between the parties. The Financial Commission provides additional protection for customers through guarantees payment from the Compensation Fund. Protection extends to all customers. Payment from Compensation Fund is carried out in case of failure to execute the decision of The Financial Commission in favor of the client. Maximum payout per claim from Compensation Fund is 20,000 EUR.